The mesmerising south and southwest beaches of this tropical island are popular among tourists as well as locals. Our 10 nights/ 11 days South Coast Tour is specially designed to appeal to those who like to witness the spectacular beauty of Sri Lanka’s nature. You will be exploring some glorious sites during this tour. The Sigiriya Rock Fortress and Temple of the Tooth Relic visits will help you admire the colour and charm of Sri Lanka’s vibrant culture. The tour will also include a scenic train ride to the mesmerizing Hill Country. The dazzling shores of the southern coast will be extensively explored during this delightful tour. 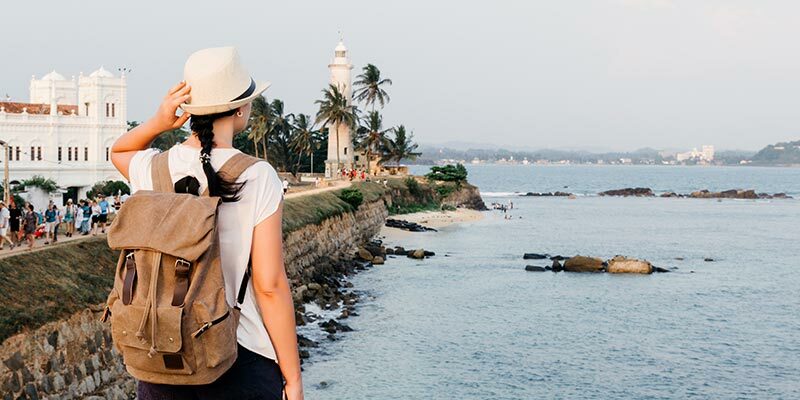 Prominent landmarks in and around the city of Galle will be included in your travel itinerary so a well-rounded holiday experience will indeed be guaranteed! We will take care of all your travel needs and give you the chance to fall deeply in love with the spectacular magic of Sri Lanka! Upon arrival at the Bandaranaike International Airport in Katunayake you will meet one of the representatives of Tangerine Tours. You will then prepare to journey to Sigiriya, which is indeed one of the most prominent attractions in Sri Lanka. Once you reach your hotel in Sigiriya, take some time to rest and relax as you will be braving the heights of the mighty Sigiriya Rock Fortress today. When evening comes, retire to your cosy hotel room and get a good night’s sleep. You can spend the full day admiring the rich facets of Sigiriya. The region indeed has many stunning sites that showcase the vibrant appeal of Sri Lanka’s heritage. The ancient city of Polonnaruwa which has a myriad of well-preserved ruins will be explored today. You will also be taken to Minneriya National Park which is renowned for its elephant population, for an epic safari tour. When the tour ends, return to your hotel and rest as you will be travelling again tomorrow. The journey from Sigiriya to Kandy, which will take approximately 2.5 hours, will begin right after your early morning breakfast. En route the Dambulla Cave Temple, which is a UNESCO World Heritage Site will be explored. 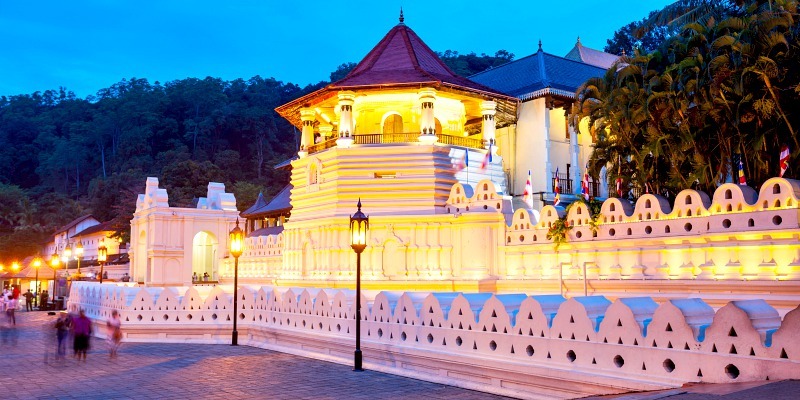 The magnificent city of Kandy which you will reach presently was the last capital of the ancient Sinhalese kings. During the day you will be visiting the Temple of the Tooth Relic. A spectacular traditional dance performance will also add colour to your day. After having your delicious breakfast at the hotel, you will be on your way once again, this time to reach the picturesque city of Nuwara Eliya. The journey from Kandy to Nuwara Eliya will take you roughly 3 hours. You will be able to learn more about the art of cultivating and producing Ceylon tea today as tea plantation and tea factory tours will be arranged. 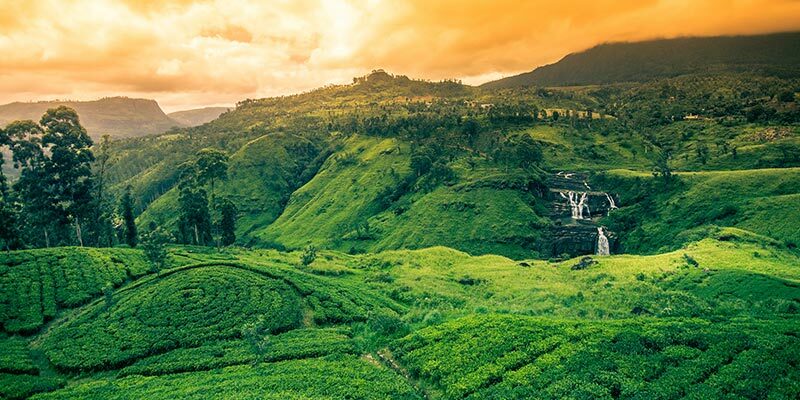 Spend your evening marvelling at the breath-taking beauty of Nuwara Eliya which is often called ‘Little England’. Today you will get the opportunity to enjoy a scenic train ride from Nanu Oya to Ella. 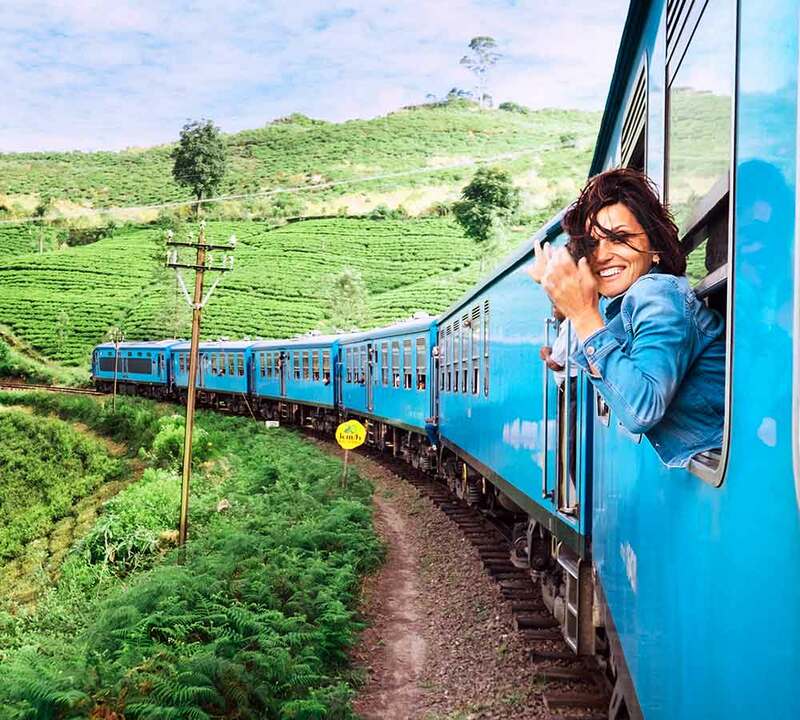 Many say this is one of the most beautiful train journeys in the world. Once you reach Ella you can visit the beautiful Little Adam’s Peak. You will then be on your way to Belihuloya. Take your time to relax today, absorbing the stunning rural splendour of this enchanting little village. Mingle with the friendly locals and relish delectable local delicacies before retiring to rest at your hotel. 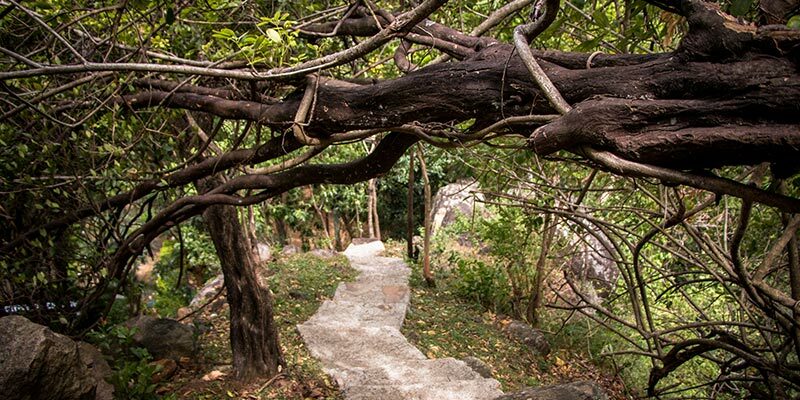 Today you will have the chance to explore Belihuloya extensively. So, don your comfortable clothes and shoes and prepare to embark on an exciting journey of discovery! Rabbit Rock trekking expeditions will indeed add an element of adventure to your tour. 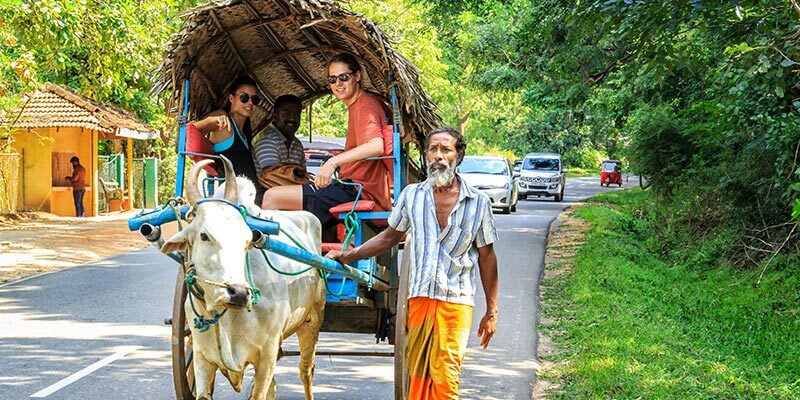 You will also get to enjoy village trekking tours during the day. Refresh yourself by taking a dip in a shimmering natural swimming pool in Belihuloya and have an enchanting experience. You will also get the chance to explore Pahanthuduwa today. Have a filling breakfast and prepare to leave to Yala. Once you reach the hotel, get some rest and prepare well to enjoy an exploratory tour in the region. You will be taken to Buduruvagala, which is an ancient Buddhist temple with seven statues of Buddha. The iconic Yala National Park which is the most popular national park in the island will be your next stop. 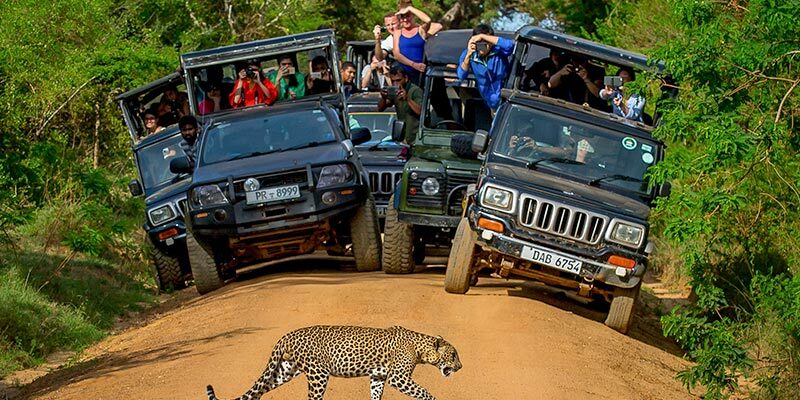 An adventurous safari tour which will most probably give you the chance to spot leopards will be arranged here. Today you will be travelling to the dazzling shores of the southwest coast of Sri Lanka for the much awaited tropical break! The city of Galle which has a myriad of enchanting attractions will be reached in 4.5 hours from Yala. Once you reach Galle, get some rest and relax by the rippling waves of the ocean. You will have the chance to visit Galle Fort as well as the Turtle Hatchery today. Sights of stilt fishermen will also enthral you as you travel here. The city of Galle well and truly deserves to be thoroughly explored so you will be spending today also within its stunning territories. Witness the breath-taking allure of the golden shores of the city and be charmed by the warmth of the people here. You can embark on an exciting whale and dolphin watching tour today which will let you catch a glimpse of the mighty beings of the ocean depths. Watch the sunrise from the beach of Galle and prepare for the night rest. Spend the last day of your exciting tour idling in the glorious beach of Galle. Relish exquisite local fare and witness the beautiful appeal of the city’s celebrated attractions today leisurely. You can even enjoy an exciting shopping spree at the many stylish boutique stores in the city. Soak up the golden sun and work on your tan while the majestic ocean waves sing to you. When night falls retreat to your hotel and prepare for your long journey back home. You will be leaving our beautiful paradise island today! So, pack your bags and get ready to leave to the airport which is located approximately 150 kilometres away from Galle. The journey will take about 2.5 hours so prepare to leave early. Once you are taken to the airport we will say our goodbyes and hope to meet again soon!